IFCPP brings you a host of leading, internationally-recognized cultural property protection experts, offering a variety of timely training topics! Mr. Artim currently serves as the director of the Heritage Protection Group of the Fire Safety Network, a Middlebury, Vermont-based international consulting and fire protection engineering group that specializes in heritage protection. His project experience has included sites in the United States, Canada, United Kingdom, Bermuda and Ireland. His clients have included several National Park Service National Historic sites, the National Libraries of Canada, Scotland and Ireland, the Scottish Supreme Court, the Canadian Museum of Civilization, the Bermuda Archives, Hearst San Simeon State Historic Site, California, and the Vermont State Capitol. Nick is a r egistered fire protection engineer and has a formal education consisting of an Associates Degree in Fire Protection Technology from the State U niversity of New York and a Bachelor of Sciences Degree in Fire Protection from the University of Maryland. He serves as a principal committee member on the National Fire Protection Association Committee on the Protection of Cultural Resources which produces document #909, Standard for the Protection of Cultural Resources. He is the past task group chairman on NFPA #914, Protection of Historic Buildings. He is also responsible for fire protection educational services with the International Foundation for Cultural Property Protection. He has authored a number of fire protection technical and serves as an instructor for several fire protection educational seminars. He serves as a seminar course instructor at Simmons College (Boston) School of Graduate Library Studies, and the University of Vermont Graduate Department of Historic Preservation. Mr. Bowman is currently the Public Safety Director for The Greene Town Center shopping mall, and the Task Force Coordinator for Investigating Retail & Organized Crime (IROC). He is also a retired Police Chief for Perry Township in Brookville, Ohio. Bob is a graduate of the Ohio State Highway Patrol Academy and has been a police officer since 1978. He has worked on a number of organized crime task forces and held special commissions with the FBI, US Marshal, Ohio Organized Crime Commission, and the Montgomery County Sheriff’s Office. 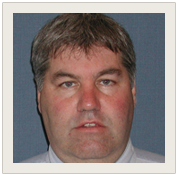 Bob is a past president of the Chiefs of Police Association and Regional Chairman for ASIS. 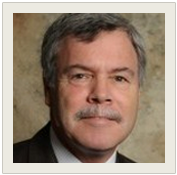 Bob has also been a licensed attorney since 1988 and serves on the IFCPP Board as the IFCPP Legal Advisor. Mr. Clark has a B.S. in Criminal Justice from Buffalo State ((SUNY) and is a Board Certified Protection Professional from ASIS International. He has over 30 years experience in law enforcement and security management. For the past 20 years, he has managed a nationally recognized independent security consulting firm specializing in institutional security for libraries, museums and universities. Over the past 10 years, he has completed assignments for over 40 institutions including art, history, special collections, private collections as well as university libraries and museums. Mr. Clark is a member and past president of the International Association of Professional Security Consultants, ASIS – International, and the International Foundation for Cultural Properties Protection. In addition to his extensive assessment and forensic experience, Mr. Clark has been a featured speaker at the American Library Association, The Ohio Library Council, the International Foundation for Cultural Properties Protection and others. He is regularly retained in litigation defense of library and university security programs. Mr. Clark is active in the community as a board member of the Avon Lake Public Library and actively involved in the Lorain County Coalition to Prevent Human Trafficking. Mr. Clark’s philosophy of security management focuses on preparedness, awareness, prevention, and intervention at the appropriate scale to effectively manage risk. Mr. Goodrich brings with him more than 30 years in the protection services field, 18 of those specifically in cultural property. Mr. Goodrich most recently served on the Museum staff of the Crystal Bridges Museum of American Art (2011-2017), hired to oversee all security and safety services for the Museum facilities, trails, art collection, staff and guests. Prior to working at Crystal Bridges, Mr. Goodrich served as Chief of Security and Facilities Manager for the Phoenix Art Museum, Facilities Superintendent for the City of Phoenix and Dean of Security Education at North American College. Earlier in his career, he held posts with various corporations as safety inspector, health and safety instructor, EMT, and a licensed private investigator. He holds certifications and credentials through numerous organizations, including the (IFCPP) International Foundation for Cultural Property Protection, the American Hotel Motel Association and the International Association of Hospital Security. 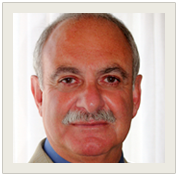 Mr. Layne is the Founding Director of the IFCPP and CEO of Layne Consultants International. He has served as a Police Chief, Public Safety Director, and Museum Security Director. He presently serves on the ASIS Museum, Library, and Cultural Properties Council and the AAM Museum Association Security Committee. He is the author of the Cultural Property Protection Manual and the Business Survival Guide and co-author of Suggested Practices in Museum Security. Steve is currently involved in the scripting, directing, and production of the Security Officer Training Guide, an action video series of training programs emphasizing protection of cultural institutions. He has previously produced media productions for business, government, and industry as well as numerous articles for national publications. He has provided protection planning, risk assessment, system design and training for over 350 cultural and public institutions across the U.S., Canada, Australia and New Zealand. 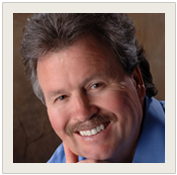 Steve is a leading presenter and keynote speaker at over 50 national conferences and business symposiums annually. 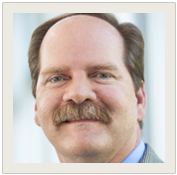 He is the guiding force behind CIPM, CIPS, CIPT, and CIPI certification programs. He has served as an instructor for the National Crime Prevention Institute, Federal Law Enforcement Training Center, National Park Service, ASIS, ALA, and AAM national and regional conferences. Steve is a graduate of the FBI's Police Management Program, the U.S. Army's Infantry Officer Candidate School, and Career Officer Military Police School. Mr. Layne resides in Nokomis, Florida. Mr. McGrew is the newly appointed Director of the Central Campus Security Services for The Ohio State University Department of Public Safety. Mr. McGrew began his tenure with The Ohio State University as the Senior Security Supervisor assigned to the Wexner Center for the Arts in August of 2005. Now, having worked his way through Security Manager and Assistant Security Director, Mr. McGrew actively pursues new initiatives and continuing education. Not only is Mr. McGrew a host and graduate of the second Certified Institutional Protection Instructor course; he also recently obtained the certification (CSSP) with the University of Southern Mississippi’s National Center for Spectator Sports Safety and Security program (NCS4). 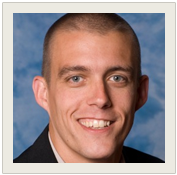 Mr. McGrew continues to support the IFCPP teaching at regional and national conferences. Mr. Millwee is one of the highest rated speakers and court certified experts on workplace violence, negligent security and employment screening. He was the 2002 President of ASIS International and its 2003 Chairman of the Board of Directors. He is the author of two screenplays slated for feature film release in the coming months and creator of two truTV docudramas based on his real-world experience in workplace violence and infamous murder cases. Mr. Millwee is the author of The SecurTest System of over 330 applicant and employment questionnaires and the only background investigation authentication tool that is patent pending called SecurHomeland at iReviewNow.com. Mr. Millwee specializes in workplace violence prevention and intervention, crisis management, physical security audits, employee misconduct such as theft, sexual harassment, and management and employee training to defuse the potential for workplace violence or employment liability. He is the instructor used by the Department of Homeland Security for its workplace violence prevention training. Mr. Millwee has testified as an expert witness in the fields of workplace violence, negligent hiring, retention, screening, security, polygraph, use of force, security officer and management procedures and practices, failure to warn, and police procedures. He is a crisis management consultant to many American corporations conducting violence and threat assessments. 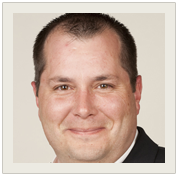 He is the author of SecurViolence and SecurThreat, custom threat assessment questionnaires. He is also the author of two questionnaires, SecurHarass, for helping employers conduct investigations of sexual harassment complaints. 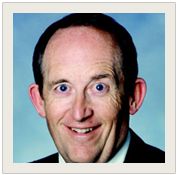 He was a founding member of the editorial board of Loss Prevention Professional. Previously, Mr. Millwee was the lead detective in the Unsolved Murder Unit of the Hillsborough County Sheriff's Office in Tampa, Florida. Mr. Millwee formerly was with the Federal Bureau of Investigation in Washington D.C. The author of The Threat From Within: Workplace Violence, other books and numerous articles, he is the president and CEO of SecurTest, Inc. He is author of SecurThreat, the 260 point threat assessment checklist, and countless articles on negligent hiring, retention, security and workplace violence. Mr. Powers is Director of Facilities at The Sterling and Francine Clark Art Institute in Williamstown, MA. He also serves as a Captain with the Berkshire County Sheriff's Uniform Branch, and is the former the Facilities Manager at The Berkshire Museum in Pittsfield, MA (1980 to 1995). 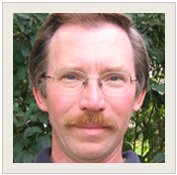 Bill is a certified Instructor and frequently lectures on cultural property protection at cultural facilities and colleges. He holds a 5th degree black belt in the martial arts, holds a Master Level Teaching Certificate in martial arts, and is an active member of several national associations, including the American Society for Industrial Security; the American Association of Museums, the National Fire Protection Association, the New England Museum Association, the Association for Facilities Engineering, the Museum Association Security Committee, and the International Foundation for Cultural Property Protection. He was recently appointed as Vice President of the ASIS Museum, Library and Cultural Property Council. Bill was one of the first IFCPP members to host a Regional CIPS Certification Workshop, and continues to contribute valuable assistance to the Foundation. He currently serves as the IFCPP Sergeant At Arms, self-defense & use of force expert, and regular instructor. 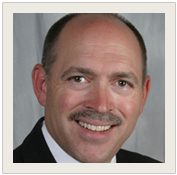 Mr. Peterson is Principal of M. C. Peterson & Associates and Senior Consultant for Layne Consultants International. Mr. Peterson has more than 30 years of experience in the design, specification, deployment, and project management of large-scale integrated security solutions including: smart cards, intrusion detection, physical access control, video surveillance, and communications systems. Mr. Peterson regularly provides technology and design counsel to end-users, as they work to migrate to new secure access control and identification technologies. He currently serves as chairman of SIA’s Security Application Standards subcommittee, Senior Design Director for LCI, IFCPP Technology Advisor, and member of The Protection Alliance. Mr. Sellevaag is a regular instructor of IFCPP certification courses, and currently works for a large consulting and engineering firm. Jim previously served as the Head of Security at the Hillwood Estate Museum and Gardens in Washington DC. Prior to his time at Hillwod he worked in the hospitality industry with Marriott International, both at the hotel property level as well as at Marriott’s corporate headquarters on the security planning team for new hotels. Jim holds PSP certification with ASIS International, and the CIPM and CIPI certifications with the International Foundation for Cultural Property Protection. Mr. Woolley is Principal of 98-2 Enterprises, LLC, and was one of eight Founding Trustees of The Wild Life Experience Museum in Denver, Colorado. Mr. Woolley was also one of the early Executives of RE/MAX International Inc. from its early start up concept to the industry leader. He is a highly principled leader with extensive experience in business systems development, human resources, business planning & design, marketing & branding, advertising, business continuity, recruiting, training, and organizational efficiency. He currently serves on several professional boards, including: The International Foundation for Cultural Property Protection Advisory Board; Past Youth Advisor Council Member for his church; Past District Commissioner Venture, and Varsity Age (Douglas County) Council Boy Scouts of America (Volunteer Position). In 2007, Steve was appointed as the Chairman of Safe2Tell, a ground-breaking youth violence prevention initiative started in Colorado. Steve is a “grass roots” leader with unique executive experience. 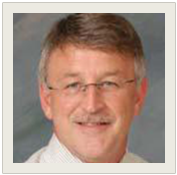 Mr. Woolley has participated in IFCPP since its inception as a valued leader, presenter, and advisor.